HGTV is ready for something new. Recently, the network announced nine new TV shows for the 2018-19 season. The new series include Mom and Me, Rustic Rehab, My Windfall Dream Home, House Hunters: Home for the Holidays, Best House on the Block, Big City Charm, Almost Home, Windy City Rehab,and Montana Home. New York – While showing the world how to flip a home for profit, break through walls to reinvent spaces or create a fantasy lifestyle on a beach or under a big sky, HGTV turns every day stories of finding, buying, selling and renovating homes into can’t-miss television that attracts more than 41.3 million primetime viewers each month. Its most popular experts have transcended home and landscaping to become pop culture phenoms – amassing millions of social media followers. 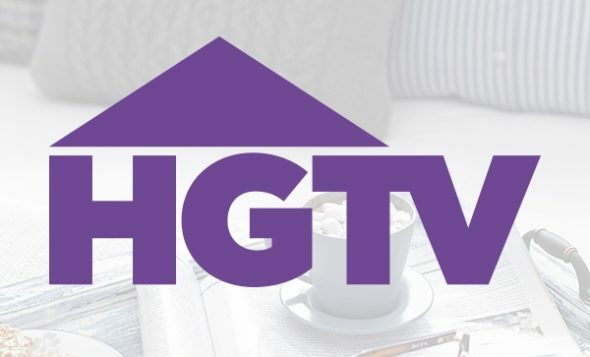 With nine new series slated to premiere in the next six months, HGTV continues to cultivate a cadre of stars who are destined to join such super fan favorites as Jonathan and Drew Scott of the Emmy(R)-nominated series Property Brothers, Tarek and Christina El Moussa of Flip or Flop, Hilary Farr and David Visentin of Love It or List It and Chip and Joanna Gaines from the Emmy(R)-nominated series Fixer Upper. HGTV’s biggest stars – whose personal activities and major life events are regularly featured on the covers and in the pages of national entertainment magazines – often get social media “shout outs” from Hollywood celebrities, inspire spoofs and fuel late night monologues. Spouses Ben and Erin Napier of Home Town, mother-daughter duo Karen E Laine and Mina Starsiak of Good Bones, exes DeRon Jenkins and Page Turner of Flip or Flop Nashville and siblings Steve and Leanne Ford of Restored by the Fords may be among the newest in HGTV’s talent pool, but they already have proven their ability to attract new viewers and generate buzz among enthusiastic fans. Amidst an idyllic backdrop of Paradise, Calif., Rustic Rehab follows real estate and home renovation experts David and Chenoa Rivera as they snap up outdated cabins, vacation rentals and bungalows, turn them into charming retreats and sell them to families seeking small-town life. David, a real estate investor who oversees the construction, and Chenoa, a real estate expert and designer with a rustic flair, work together to flip more than 30 homes a year in Paradise, a popular destination nestled in the foothills of Sierra Nevada Mountains. The new series My Windfall Dream Home features designer David Bromstad, star of HGTV’s My Lottery Dream Home, as he helps clients who receive surprise cash windfalls find their new dream home. Whether from a bonus at work, a lucky day at the casino or an inheritance from a family member, the unexpected winnings allow these homebuyers to invest their new wealth into an ideal property. In a unique twist on HGTV’s hit series House Hunters, House Hunters: Home for the Holidays features heartwarming stories of families searching for a new place to celebrate a most wonderful time of the year. Best House on the Block spotlights D.C. designer Lauren Liess and her husband, David, as they run a successful renovation and design business. The couple, who are parents of five, expertly create custom, tailored spaces that are both beautiful and functional for the families. As David oversees the construction of each project, Lauren mixes her relaxed and rustic aesthetic with the homeowners’ personal style to check all the boxes on their home makeover checklist. Cameras follow Karrie Trowbridge, a popular home renovator in Bend, Oregon, and her 21-year-old son Tristan, as they work together to create stylish homes inspired by the natural beauty of the Pacific Northwest. The combination of Karrie’s experience and Tristan’s fresh perspective and construction skills deliver beautiful results for families, but as can be expected with any mother and son, the two don’t always agree. With collaboration and compromise – and lots of laughter along the way – the duo complete stunning renovations. Dave and Jenny Marrs embrace small-town America by renovating classic homes in Bentonville, Arkansas. The resourceful couple revives the area’s historic houses into charming, updated masterpieces for clients who desire a laidback lifestyle. With an eye for design, Jenny creates inviting spaces that retain the homes’ original character and reflect the personality of the homeowners. Dave, an expert craftsman and builder, brings his extensive knowledge and passion for restoring older homes to each project. Bolstered by a contagious enthusiasm, the duo completes grand renos and welcomes families back home. Designer and home renovation star Alison Victoria will buy some of Chicago’s oldest homes and turn them into dream properties that enhance neighborhoods. Alison, who first gained fan acclaim as the star of Kitchen Crashers on DIY Network, will save each home’s one-of-a-kind architectural features while updating it with luxurious style. While these century-old Windy City homes are beautiful, Alison must tackle unexpected and costly renovation challenges to restore the treasured houses. What do you think? Do you watch HGTV? Which new TV shows will you check out? More about: Almost Home, Almost Home: canceled or renewed?, Best House on the Block, Best House on the Block: canceled or renewed?, Big City Charm, Big City Charm: canceled or renewed?, HGTV TV shows: canceled or renewed?, Mom and Me, Mom and Me: canceled or renewed?, Montana Home, Montana Home: canceled or renewed?, My Windfall Dream Home, My Windfall Dream Home: canceled or renewed?, Rustic Rehab, Rustic Rehab: canceled or renewed?, Windy City Rehab, Windy City Rehab: canceled or renewed? Have a dynamic relationship. Bend, Oregon has breath taking scenery. I will totally check out anything that David Bromstad is doing!! !